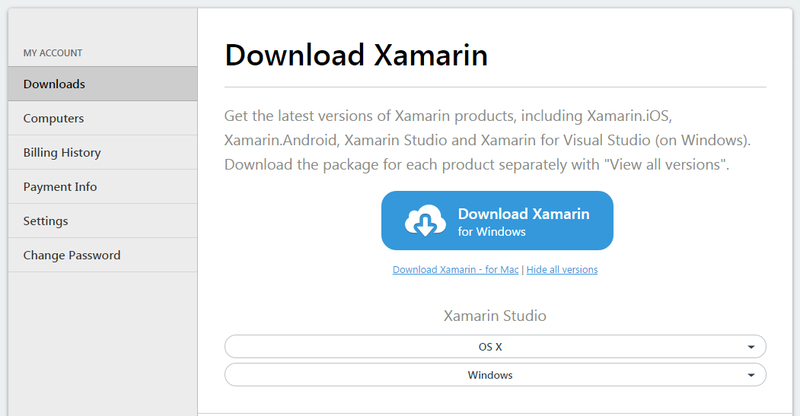 I have been trying to install Xamarin for windows. Unfortunately the install failed, also after multiple downloads. Then I tried to download the separate components that should be under the show all versions link (see attached screens) . 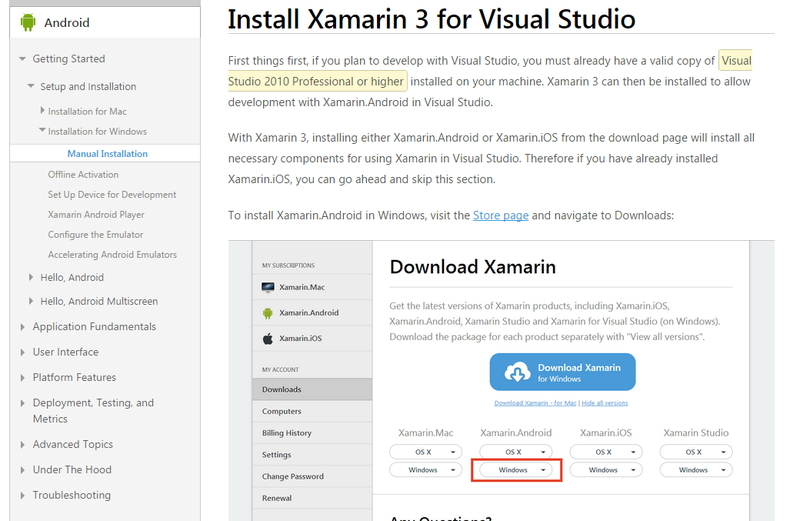 The only download that is available is Xamarin.Studio. I'm having the same problem. Trying to evaluate Xamarin for Visual Studio on Windows 7 64 bit. The "Universal installer" asks for permission to send feedback, I press the Continue button, and it just closes. Makes to difference to run it as administrator. I've switched off the firewall, installed GTK#, Java SDK, Android SDK (Net 4.5 is installed anyway), and even Xamarin Studio, but the "Universal installer" does nothing but writing a log file (see attached). So I'm asking myself, if they can't even write a decent installer, should I take the pain to evaluate their product at all?